Do you Fear the Beard? Or Fear not owning the Beard? 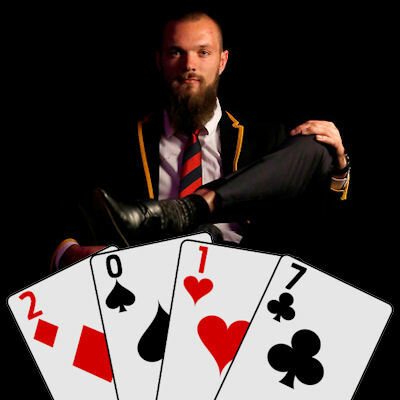 After hinting ‘big things’ were on the way with an average of 92 from 13 games in 2015, the beard certainly didn’t disappoint, taking over the number one ruck mantle in the competition (as he predicted in the pre-season) with an awesome average of 107. Having a ruck with the ability to pump out 100 every week is invaluable, let alone doing it 15 weeks of the season which included a whopping eight games over 120. He had a relatively slow start to the season with three substandard scores of 61 or less which included a shocking 47. Why am I writing this stuff in the ‘pick him’ section you may ask? Well it’s because these games are nothing more than a glitch that gets his price down for us after Maximus finished the year like a steam train! After round 12 he only had one score under 100 with 95 and averaged 116 between then and round 23. The only other listed ruck at the Dees is Lachlan Filipovic (RUC, $150,000)… so there is no chance of being stung with the old shared ruck duties. The only reason not to pick Max is if you can justify finding value in the ruck department with mid priced players who are considered under-priced such as Toby Nankervis (RUC/FWD, $365,000), Patty Ryder (RUC/FWD,$411,000) or Tom Boyd (RUC/FWD, $347,000) for example. WARNING: This strategy would be considered high risk, low reward and stupid in my book. The only other conceivable reason not to start with Gawn is if someone cut his beard off in his sleep, in turn sapping his powers. ACE– I am yet to hear an argument that justifies leaving the big guy out. He will be a top three pick in almost every draft and rightfully so. Finding a player with the ability to pump out scores like 142, 142, 144 and 146 in a season are hard enough at the best of times, but to find a ruck that can do that is invaluable… making him a set and forget. As well as being a viable captain option. The only reason to fear the beard is if you don’t own him. Who will be the highest averaging ruckman? Deck of DT Rating 2017. Deck of DT Rating 2016. I was on the fence with Smartin. I feel that paying top dollar for a ruck isn’t the right move. Warnie called it, I think Starting Max in 2017 will cost you big buxs! My full comment from last year (ignore the Leuenberger part haha). The change to the third man up rule should benefit blokes like Gawn. He’s hit high fantasy numbers at a young age considering rucks are usually late developers (both in terms of the real thing and fantasy). I’m confident that Max can increase on his 107 average. Oh and Tigers, while I get your point and agree with you, check out Stef’s first few games of last year before May/knee. We’ll have some Versus articles in Feb/Mar and *spoiler alert*, that will be one of them! A few years ago, Stef Martin got his way into the Lions team and played a season and a half of 110+ Fantasy. But previously he had barely completed a season and in 2016 the physical pressure seemed to catch up with him with niggling injuries and general workload fatigue- according to Leppa at least. Gawn has basically done the exact same thing. A stop-start career blighted by injuries before playing a season and a half of 110 fantasy. The guy is enormous and AFL is incredibly taxing, do we not think there’s a chance that having not missed a game for 1.5 seasons is going to catch up with him next year? The 3rd man up rule change is gonna be a massive game changer, In addition to Gawn players like Goldy/Mumford/Jacobs/Sandi(your more traditional big ruckman) etc have been jumped on by 3rd men up and suffered both physically and in terms of DT scoring. This year could add 10+ dt to numerous #1 rucks around the league i reckons. I don’t have him in any of my teams at the moment. Perhaps I’m just crazy. Sorry Goat, I don’t double check stuff like that… Do you see Spencer demanding shared ruck responsibility? My apologies for leading everyone astray.